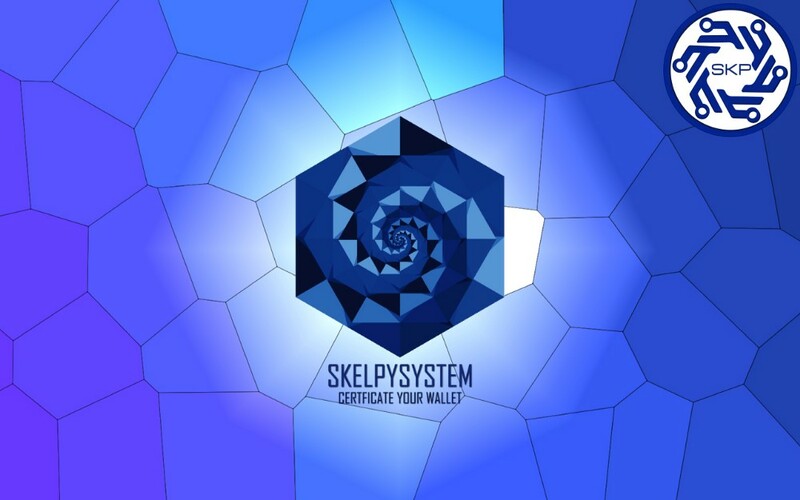 SkelpySystem is a decentralized platform that permits to certify and recognize thewallets inside the Skelpy circle. Through this system it will be possible to recognize the subjects involved in the transactions on the basis of the level of authority allowed by the wallets owners. The wallets can be recognized at the discretion of the rightful owner that decides the visibility of his own wallet. To recognize a wallet is necessary sending a recognition request to the subject in question, except the “Public” level of visibility that does not need a recognition request. A wallet with a “Public” visibility level can be seen from all of the users registered at the SkelpySystem platform, without any need of recognition. A wallet with a “Private” level of visibility can be seen only from the authorized users after the acceptance of the recognition request sent from the applicant to the rightful owner. A wallet with a “Solo” level of visibility is different from the private visibility as it can’t receive recognition requests, but only send them to wallet with private visibility. Each subject being part of the SkelpySystem platform must respect the laws that regulate it and certify his/her identity through the regulations of his/her home countryand the KYC tool.